We pride ourselves on our service, and promise to deliver the highest quality goods at the best prices. As one of the leading suppliers of electrical and electronic components we are committed to excellence by delivering our service with speed, courtesy, and reliability! Advantage Electric Supply (AES) supporting OEM's, Industrial Automation, Solar and Renewable Energy industries. With thousands of parts in local inventory, we are one of the largest distributors of industrial controls and electrical components in the western region. Our commitment to supporting OEM's and System Integrators is backed up by years of experience in technology and building long standing relationships and partnership with our customers. We hold true to our mission to contribute to success of our customers. At Advantage Electric Supply we offer a wide variety of control components, industrial automation and electrical parts. 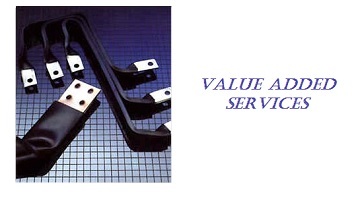 We have a large range of value added services to bring more value to your business. We pride ourselves in providing superior customer service to our customers. At AES our friendly representatives always provide timely support and help with any technical issues, quotes, and expedite requests. Advantage Electric Supply offers complete line of ABB NEMA, UL & CSA miniature, molded case and power circuit breakers, residual current (ground fault) devices, manual motor starters to protect personnel and equipment. ABB circuit breakers offer the best solution for rapidly restoring normal electrical service after a fault and, at same time, offering the maximum protection of the electrical installation. The MCCB's have an extensive group of interchangeable accessories from electronic trip devices to flange handles. Advantage Electric Supply provides customers with ready to install pre-formed busbars, which are custom made based on customer’s requirements. Pre-formed busbars are shaped to fit in confined installation space, including various bends, twists, steps, stripped ends and punched holes for the electrical connection installation. Advantage Electric Supply is the largest distributor of Mersen products in Northern California. 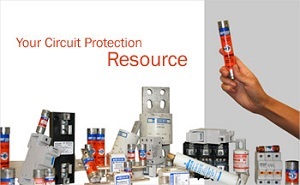 We offer the widest range of circuit protection products (Ferraz Shawmut) in the industry for everyone from OEMs, panel builders to MROs and electrical contractors. Make us your single source for circuit protection, and we'll show you how to save time, reduce your costs and consolidate your inventory.